The screenplay follows the tragic life of 16th century monarch, Mary Stuart; from exile to reign, to demise, and was developed with Jay Presson-Allen (The Prime of Miss Jean Brodie, Marnie, Cabaret). Originally Mackendrick imagined Mary Queen of Scots as a western, a portrait of a woman trying to survive internecine battles for power between rival clans; but he also described the screenplay as "a gangster study". Mackendrick first began the film’s development whilst at Ealing Films in the 1950s, but studio head Michael Balcon vetoed it as "too disrespectful of royalty." Later, at different points, Mackendrick worked on drafts of the script with Gore Vidal and Anthony Burgess. By 1969 Mary Queen of Scots was due to start production, backed by Universal Studios and with Sandy Lieberson producing. When this was derailed Mackendrick followed a new opportunity in a teaching position at California Institute of the Arts (CalArts). Whilst he never completed his final film project, Mackendrick will be remembered for pivotal cinematic works including The Ladykillers and Sweet Smell of Success. Bridging the generations of acting talent, Jackson is joined by stage and screen actor Ellie Bamber in the role of Mary Stuart. 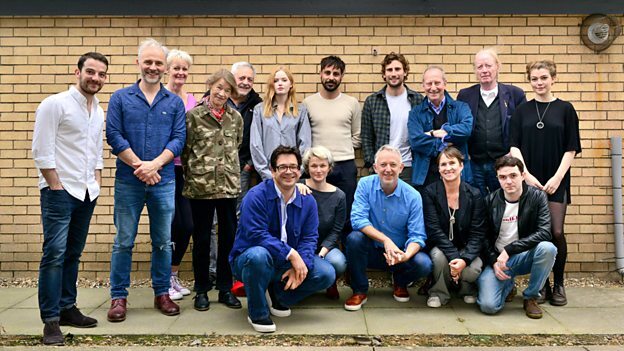 The cast for Radio 4’s production also includes Mark Bonnar as Scottish politician William Maitland, Emun Elliot as Bothwell and Kerr, and as Darnley, Edward Holcroft.